How Can Private School Cost Impact Child Support in Missouri? 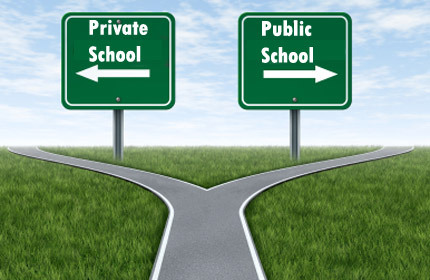 With the prevalence of private grade schools and high schools in the St. Louis area, family law attorneys and judges are often faced with the question of how to pay for the costs associated with these schools when one or both parents decide to send their child to private school. In today’s blog we cover how this can impact a parent’s child support obligation. If you assumed that St. Louis has a larger than average percentage of students attending private grade schools and high schools as compared to other large metropolitan areas, you would be correct. In a recent study by the real estate company Trulia, of the largest 100 metropolitan areas in the United States, St. Louis ranked 10th overall in a measurement of the largest percentage of students enrolled in private school. Whether it be in a divorce situation or in a case where the mother and father were never married, the Missouri family court is often faced with a decision as to whether to assign these costs to either parent. The presumed amount of child support in Missouri is calculated with under the Rules established in Supreme Court Rule 88.01 through the use of the Form 14. (See our previous blogs for a details discussion of the Form 14.) While the information used to calculate includes factors such as agreed upon or court ordered extraordinary child rearing costs, your family court judge has broad discretion on how to handle the cost of private education when the parties do not agree on how those should be paid. In a recent case from the Eastern District Court Missouri Court of Appeals, the Court reaffirmed that the test for determining when a court should include, with child support, the cost of attending private schooling over the wishes of one parent as being if the private school “will meet the particular educational needs of the child”. In that case, the Court considered evidence including the child’s doctor’s reports and both parents previous consent to move the child to a private grade school from public school upon the recommendation of public school officials, after the child did not qualify for special education services which otherwise would have been available at the public school. The Court found the father to be obligated to equally share in the cost of private high school, despite his objection, because private schooling met the particular educational needs of the child. This order was in addition to the father’s child support obligation. 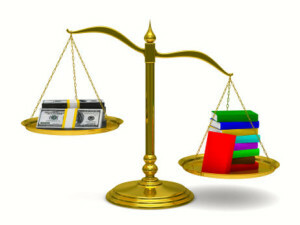 However, it is important to understand that your family court judge has a large degree of discretion in determining the weight given to particular evidence intended to show how a particular child’s educational needs are better met with private school as opposed to the public school the child would otherwise attend. So, it is critical for you to discuss with your Missouri family law attorney the views of what your family law judge is likely to find persuasive in determining this matter. In addition to evidence regarding how the particular educational needs may or may not be met with a private education, the court will also have to weigh the cost of that education and the parties’ ability to contribute to those costs prior to assigning the obligation. If you are faced with the challenge navigating our Missouri family court and dealing with the real and potential cost of private education, please feel free to contact our office today for a free consultation to discuss the specifics of your situation.